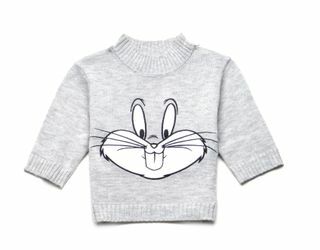 The 44-piece line includes sweaters, t-shirts, tank tops, cropped tops, socks and loungewear featuring Warner Bros.’ most memorable animated characters, including Looney Tunes favorites Bugs Bunny, Tweety, Daffy Duck, Marvin the Martian and Taz, as well as Hanna-Barbera classics such as Scooby Doo, The Flintstones, The Jetsons and more. The limited-edition collection will launch in stores globally and on Forever21.com beginning Friday, November 28. To celebrate this exclusive partnership, Forever 21 and Warner Bros. Consumer Products will host a consumer event from 3 – 5 p.m. at the Forever 21 Times Square store on Saturday, November 22 in New York City. The event will feature live models wearing the exclusive collection, a photo booth, caricature artist, festive food and more. Every WB x Forever 21 purchase will receive a limited-edition shopper tote featuring favorite Warner Bros. animated characters, while supplies last. Jerry Leigh is a leading design, manufacturing and brand management firm, servicing the nation's top retailers through a wide range of brands and licenses. With headquarters in Los Angeles, satellite offices in New York City and Orlando, and state of the art manufacturing operations in Guatemala and Shanghai, the company's 1000+ associates are dedicated to serving the needs of their brand and retail partners. Jerry Leigh distributes at all tiers of distribution, from boutiques to mass market, and manufactures apparel that reflects consumer lifestyles. For more information, please visit www.jerryleigh.com. SCOOBY-DOO, THE FLINTSTONES, THE JETSONS and all characters and elements are trademarks of and © Hanna-Barbera. WB LOGO: ™ & © Warner Bros. Entertainment Inc.